Hello fans of the true story. 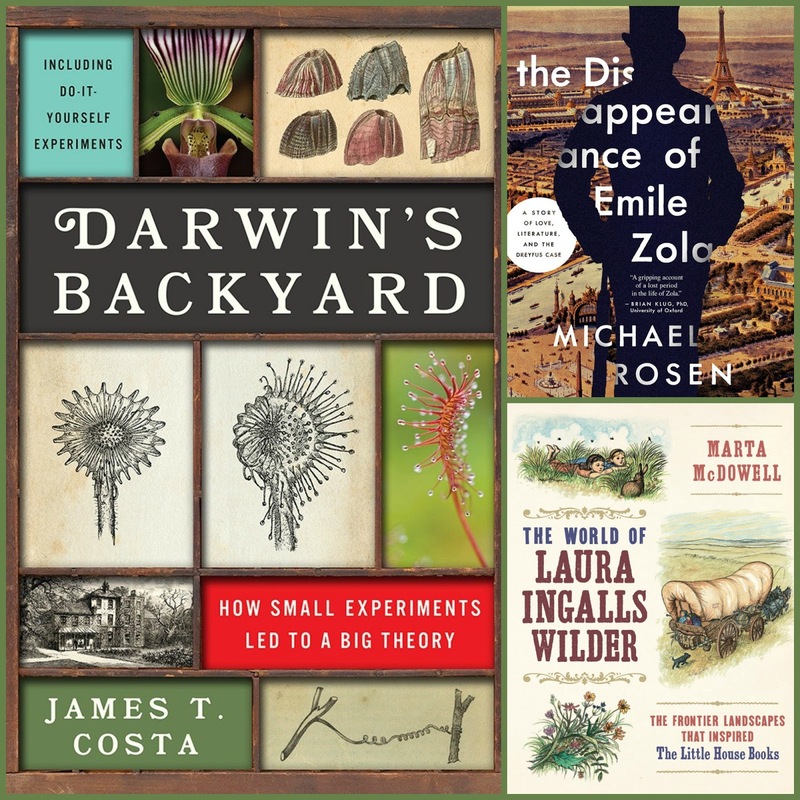 Whether you like history or biography, memoir or science, this month's new book releases include a host of great nonfiction titles. It's been difficult to narrow down the books I'm adding to my "hope to read it" list. Here are 12 I don't want to miss. 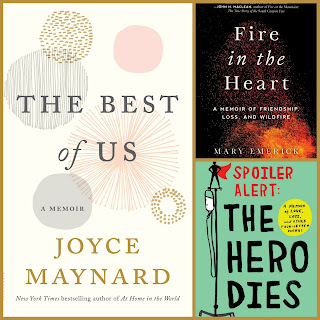 In The Best of Us (Bloomsbury, Sept. 5), Joyce Maynard shares the joys of finally finding her true soul mate, the heartbreak of losing him before they had barely begun a life together, and the struggle to find her new place in the world after his death. In Fire in the Heart (Arcade, Sept. 5), Mary Emerick tells us about her life as a forest-fire fighter, including the physical demands, the life-threatening dangers, and the friendships. After the death of a fellow firefighter, Emerick began to reassess her career path. 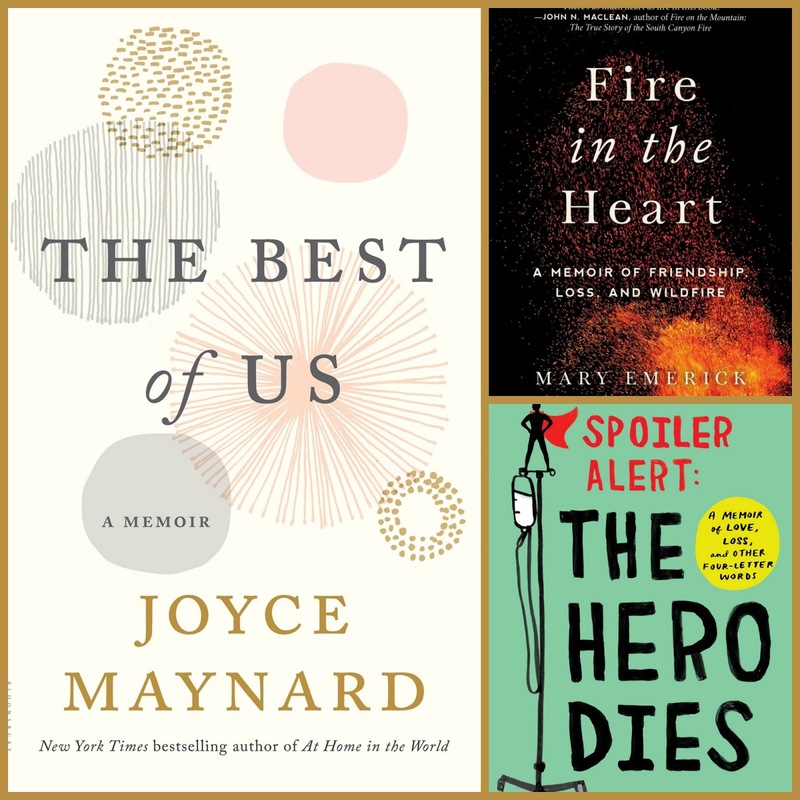 In Spoiler Alert: The Hero Dies (Atria, Sept. 12), journalist Michael Ausiello uses humor to temper the darkness in this unforgettable tribute to his beloved late husband. Reviewers have commented on the emotional impact of Ausiello's story. 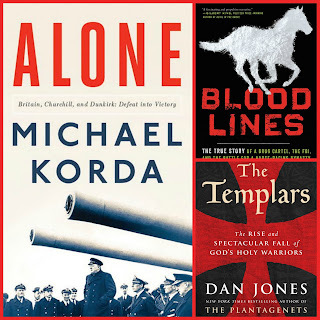 In Alone (Liveright, Sept. 19), Michael Korda turns his careful attention to the story of Dunkirk, both the horrors and death and the amazing British spirit that ultimately let to victory in Europe. His own childhood memories inform this well-researched account. In Bloodlines (Ecco, Sept. 12), Melissa del Bosque tells the fast-faced story of how two FBI agents took on a major Mexican drug lord by going after his money-laundering scheme, which was set in the world of American Quarter Horse racing. 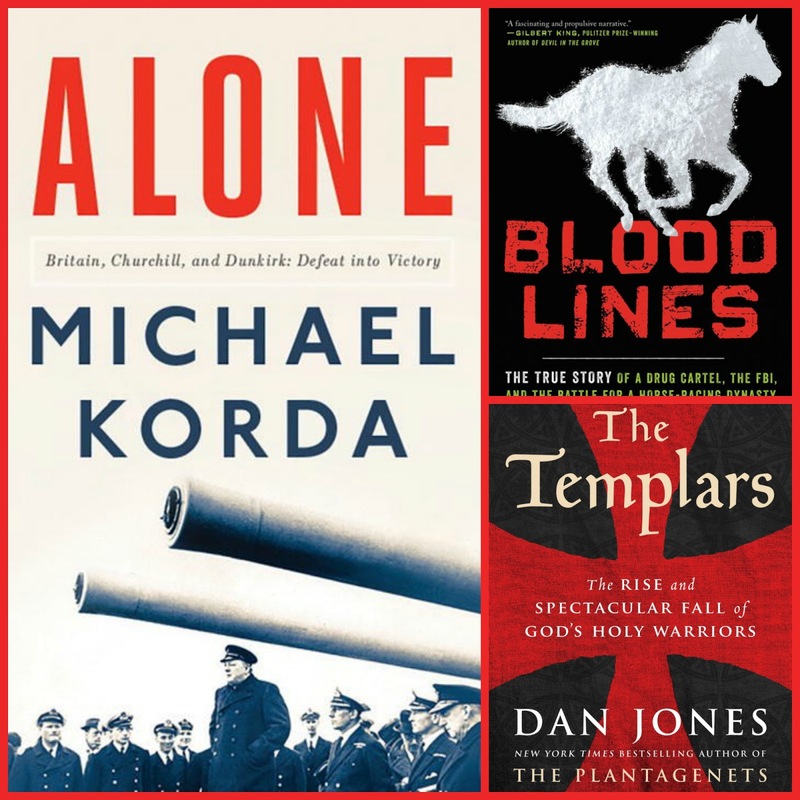 In The Templars (Viking, Sept. 19), Dan Jones explores the spectacular rise of a band of crusading knights to a position of wealth and power, until a king of France plotted to bring them down in a single day: Friday the 13th in October 1307. The legacy of the Templars is still felt today in the West's relationship with the Mideast and Islam. 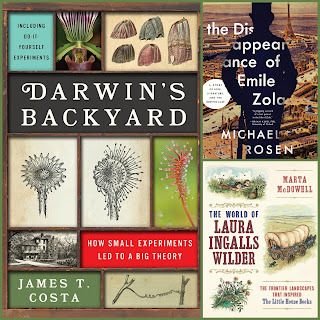 In Darwin's Backyard (Norton, Sept. 5), James T. Costa reveals the personal side of the father of natural selection, who had a lifelong curiosity about the natural world. The book includes experiments you can conduct in your own backyard. In The Disappearance of Emile Zola (Pegasus, Sept. 19), Michael Rosen explores the novelist's life, politics, and passions while in exile from France in the aftermath of the Dreyfus Affair. Zola's story is relevant in light of today's sociopolitical climate. In The World of Laura Ingalls Wilder (Timber Press, Sept. 20), Marta McDowell anchors the Little House books in the natural world of Laura's life and travels through the open prairies. Illustrations, photographs, maps, and botanical information round out this unique biography. 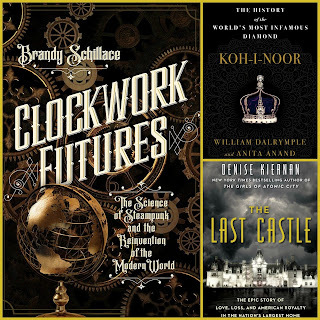 In Clockwork Futures (Pegasus, Sept. 5), Brandy Schillace looks at the roots of Steampunk technology--from flying machines to automatons--including the impact the inventions and inventors had on the greater society. In Koh-i-Noor (Bloomsbury, Sept 12), William Dalrymple and Anita Anand trace the history of one of the world's most celebrated diamonds. From the East India Company's acquisition of the jewel, the Koh-i-Noor has been steeped in controversy and myth and for some has symbolized the worst of colonialism. 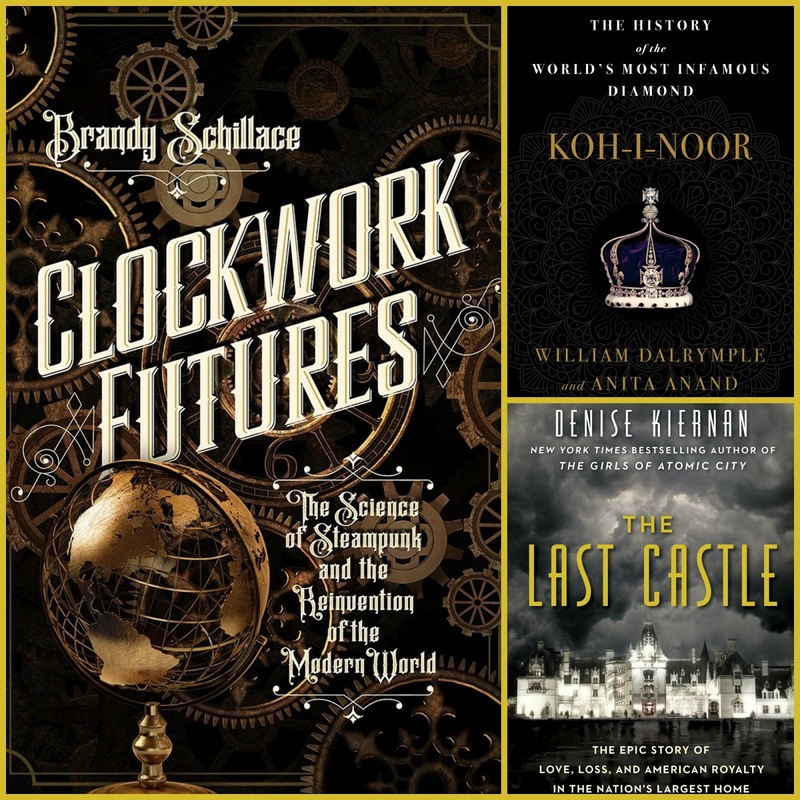 In The Last Castle (Touchstone, Sept. 26), Denise Kiernan takes us inside the walls of Biltmore House to show us the world of the rich and famous who built the mansion and graced its halls. At 175,00 square feet, the chateau is the nation's largest single-family dwelling. I've been seeing Bloodlines everywhere these days! And the Maynard piques my interest too. I have The Hero Dies and The Last Castle on my TBR list as well. I just read Al Franken Giant of the Senate and it was a great nonfiction read. Fire in the Heart looks really interesting to me. So, does The Best of Us, but I think I'd need to be in the right frame of mind for that one. I've read The Best of Us and it's really good. I'm making note of many of the other titles. Alone and Blood Lines look really good. Are there photos innThe Last Castle book? That sounds so good! Plus the Laura Ingalls one. I've visited several of the homesites. Hi...I was just googling around to see how my book was doing and saw you had profiled it! Many thanks!